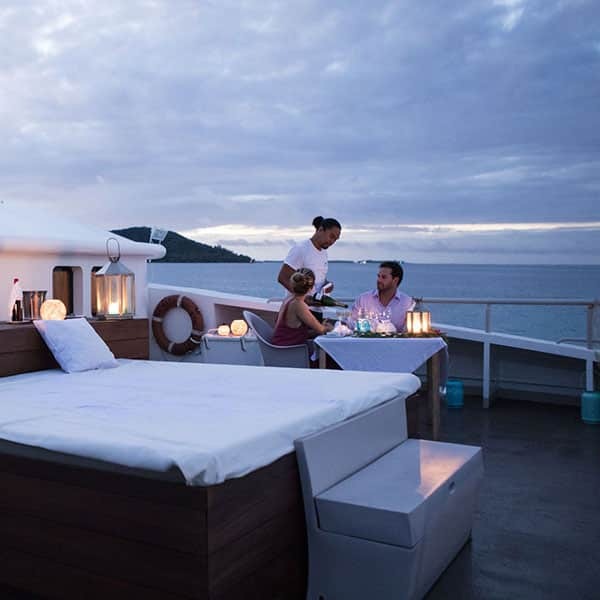 More than just a cruise, the Haumana offers to make you live a once-in-a-lifetme experience. 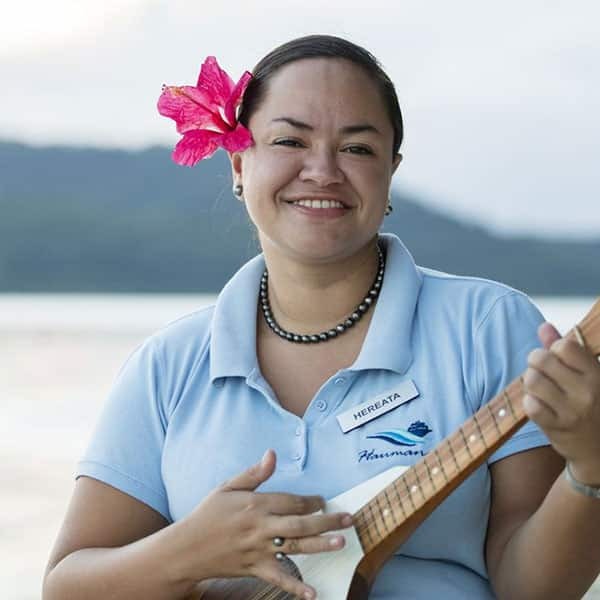 As you arrive, you instantly realize that the legendary Polynesian hospitality is not a myth. Listening to the sound of the ukulele, you will be welcomed with flower leis and traditional songs. In case you would like to make the most of the ship, a leisure space is dedicated to your well-being upstairs so that you can relax, lounge around the solarium, read quietly in the library or play games indoor. 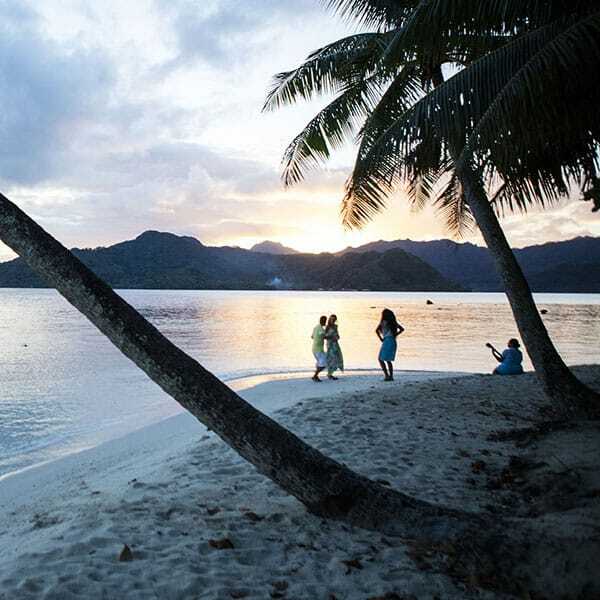 The idyllic setting of Polynesia provides optimal conditions regarding nautical activities. Thus, thanks to the marina located at the rear, the Haumana makes it easy for you to access the lagoon. 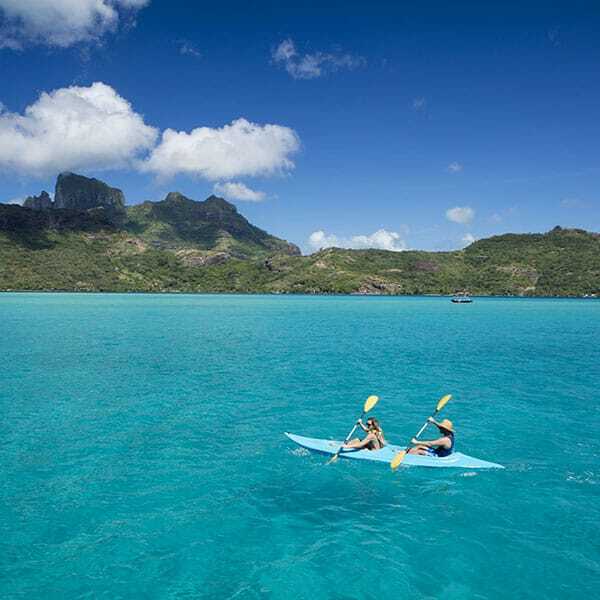 Whether you choose to go kayaking or use a paddle-board, all you have to do is slide on crystal-clear waters. Come alongside Taha’a and get to discover what makes the cultural wealth of the island during a 4×4 excursion. You are willing to know how to create a Tahitian black pearl ? Visit a traditional pearl farm and learn everything about the process. 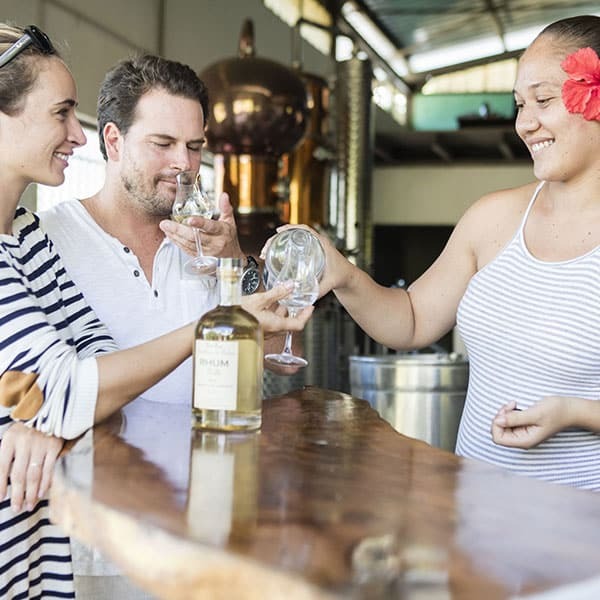 Take a break at the distillery and taste yummy local rums. Eventually, enter one of the vanilla plantations which contributed to the international success of the island. 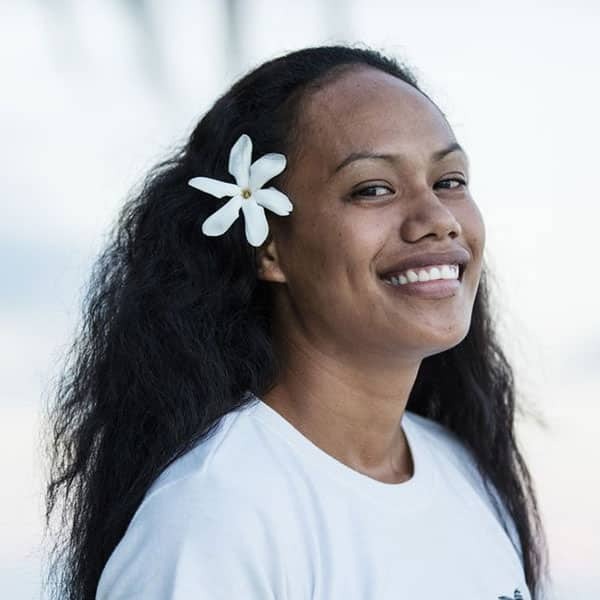 Proud of their culture and historical heritage, the members of the crew will be delighted to make you discover some of the Polynesian traditions. Willing to share their knowledge, they will initiate you to ancestral techniques with great pleasure, highlight your manual skills and inculcate some reo maohi elementary words in you. Exploit your inner feeling for art during a pandanus leaves weaving workshop, feel the vibrations of the to’ere during a dance session and arouse your taste buds while preparing the traditional raw fish with coconut milk. Become imbued with the Polynesian culture day and night. 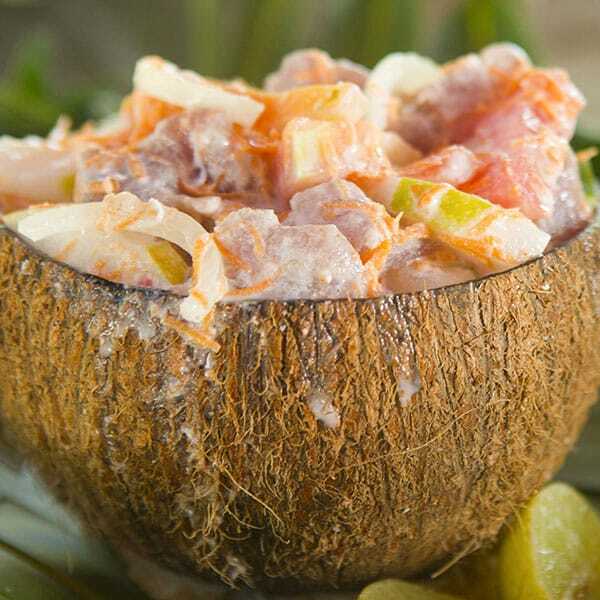 As you may know, the whole experience would not be complete if you were not given a glimpse of what the Tahitian « bringue » looks like. 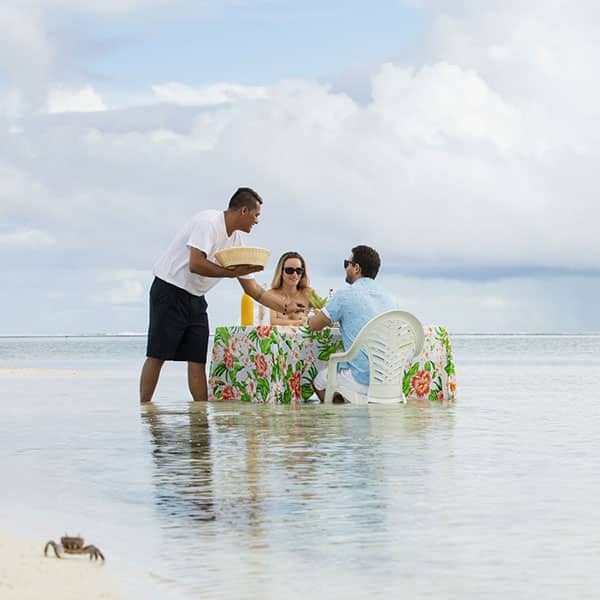 In Polynesia, we love to party : balls, cocktail parties, banquets, we find cause for gathering and sharing convivial moments in everything. At night, join the other guests, listen to the percussion ensemble, enjoy the traditional melodies and get to watch a one of a kind dance show. The Polynesian experience is not all about paradise-like landscapes and manual workshops, it is also to be found in your plate… Everyday, our chef strives to highlight the tropical tonalities of local cuisine by resorting to fresh products made in fenua. 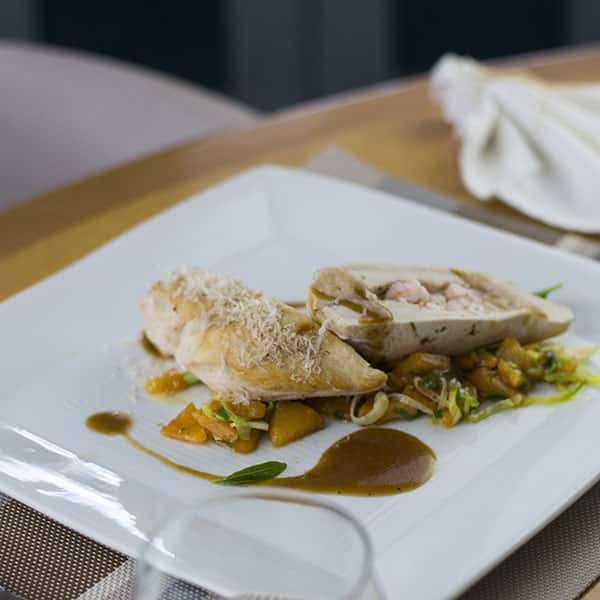 Undoubtedly, fish is one of the main elements of the menu. Tuna, sea bream, swordfish, mahi mahi, parrotfish, the ocean holds lots of surprises, it would be a shame not to make the most of it. In order to complement your dishes, a selection of wines is intended to bring out its exotic flavors. During the whole cruise, fresh fruits from the islands will be at your disposal : pineapples, papayas, mangos, everything you need to take a foodie break. Eventually, we promise to do our best to reach your expectations and constantly surprise you by offering you to choose the location of your lunch or dinner, when possible. If you are searching for a Polynesian ambiance, sober and slightly modern, choose the main restaurant of the ship. If you would like to get away with your significant other, opt for the private motu. If you want privacy, the bow happens to be an ideal setting for romantic dinners in the moonlight. Almost exlusively Polynesian, the crew is made of thirteen people who chose to dedicate their time to your well-being onboard. Rigorously recruited, these members are known and appreciated for their unfailing good humour, buoyancy, cheerfulness, implication, serious-mindedness and attention to details. They contribute to the ship’s maintenance, the setting up and see to your safety but their main job is to make sure your vacation will never be forgotten. Thus, sharing their culture and making you discover Polynesia from a different perspective is part of the entire cruise experience.